April 22nd 2018 - ATLANTIS, Fla. – This weekend, the South Florida PGA Junior Challenge Tour presented by The Honda Classic held Challenge Tour Event #3 at Weston Hills Country Club in Weston, FL on the Players Course. Due to severe thunderstorms on Sunday, the event was shortened to 18 holes. NaShawn Tyson of North Palm Beach, FL had a dominant career in the Challenge Tour 11-12 age division during the past two years. This year it was time for Tyson to advance to the 13-18 age division and test his game from the longer yardage. The 13 year old managed to capture his first Overall Boys Division title this weekend after a round of 1-under par, 71. Tyson’s round featured two birdies to just one bogey. James Key of Palm Beach Gardens, FL took home the boy’s 13-15 age division after a round of 75. Jack Rotermund of Palm Beach Gardens, FL took home the boy’s 16-18 age division after a round of 74. Victor Herrera of Doral, FL took home the boy’s 11-12 age division after a round of 1-under-par 71. Samiah Bodden of Miami, FL had a breakout weekend at Weston Hills Country Club. Bodden fired a round of 77 to capture the Overall Girls Title by one stroke. Bodden’s round featured four birdies on the day. This is Bodden’s first South Florida PGA title. Kelly Shanahan of Coral Springs, FL took home the girl’s 13-15 age division, while Casey Sommer of Davie, FL took home the girl’s 16-18 age division title. Alejandra Castillo of Wellington, FL captured the girl’s 11-12 age division title after a round of 82. The SFPGA Junior Tour presented by The Honda Classic is a membership-based tour open to boys and girls ages 11-18 in South Florida with the aspirations and skill levels to compete at the High School and Collegiate level and features some of South Florida's most talented junior golfers. The Junior Tour offers twenty-nine two day championship events for junior golfers in South Florida. The 29 events are divided between the Championship Tour, an invitational tour featuring extended yardages, and the Challenge Tour. The South Florida PGA Junior Tour is proudly presented by The Honda Classic and supported by Don Law Golf Academy, Junior.Golf, Precision Pro Golf, Florida Institute of Performance, The Boca Raton Regional Hospital Championship, SACSN, Palm Beach County Sports Commission, Pukka, The Men’s Fun Group at Mirasol, and Titleist. 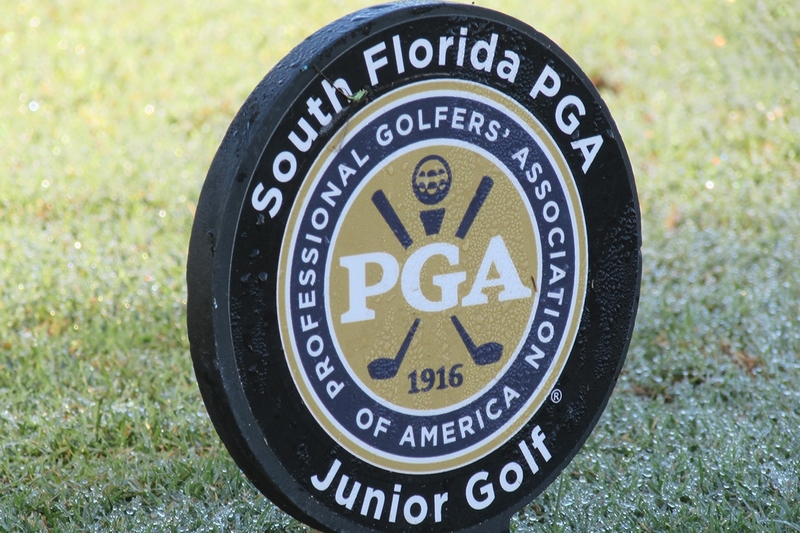 The South Florida PGA Junior Tour, run under the South Florida PGA Foundation, is committed to its mission of keeping membership and tournament-related costs low while providing first-class quality golf at twenty-nine championship courses throughout South Florida over the course of the entire Junior Tour season.